Will the failure to resolve the issue of fraudulent ballots lead to instability? “We are the winner of this round of elections without any doubt. We will not allow the fraudulent government to rule this country for even one day without any doubt,” declared Afghanistan’s presidential candidate Abdullah Abdullah this Tuesday, in front of thousands of agitated supporters in Kabul. Abdullah’s announcement followed the release of the preliminary results of the second round of Afghanistan’s presidential elections, which projected Abdullah’s rival, Dr. Ashraf Ghani, as the winner. 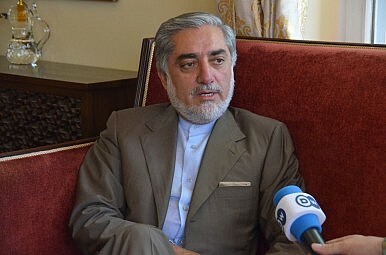 Abdullah, who claims that there were millions of fraudulent votes in the election, threatened to set up a parallel government if his concerns were not addressed by Afghanistan’s Independent Election Commission (IEC). Yet again, Afghanistan is on the brink of a political crisis that could potentially plunge it back into civil war. This would negate the achievements of the past 13 years and hurt Afghanistan’s nascent democracy. According to Abdullah and several independent observers, the second round of elections featured major ballot rigging in southern and eastern Afghanistan, regions dominated by ethnic Pashtuns, the ethnic group that Ghani belongs to. Abdullah is an ethnic Tajik, with his power base in the north and east of the country. No candidate won a majority of votes in the first round of elections, necessitating the second round. However, Abdullah won the plurality of votes in the first round. His failure to beat Ghani again no doubt fueled his suspicions of vote rigging. In the first round of voting, Abdullah beat Ghani’s tally by more than ten percent while in the second round he lost out to Ghani by over 13 percent. According to official results, Ghani won 56.4 percent of the 8.1 million votes cast. How did this reversal in fortunes come to pass? It is likely that there was indeed large scale rigging in parts of Afghanistan. Both the IEC and independent observers concur with this. Furthermore, Abdullah’s camp claims there is proof in the form of recordings of conversations between electoral officials discussing the rigging of ballots. It is still possible though that Ghani won the election due to the fact that all Pashtun voters coalesced behind his candidacy after the other candidates, mostly Pashtun, were eliminated after the first round. The election began with high hopes. People lined up in large numbers to participate in the electoral process, giving it a much needed vote of confidence. However, the failure of the democratic process could lead to cynicism for it among the population and usher in a new era of violence and division. The only way out of the crisis is a political solution that addresses and corrects the issue of the fraudulent votes in the recent election. According to several observers and journalists familiar with the country, only an inclusive government can move Afghanistan forward. What is at stake in Afghanistan today is not only democracy but the unity and integrity of the nation. There is a risk that the country could be polarized on ethnic and regional lines, with the mainly Tajik north pitted against the Pashtun south. No doubt this would play to the Taliban’s advantage and demoralize Afghanistan’s security forces. Hence it is important that a solution be found that avoids violence and the division of the country. Final results will be announced on July 24. There is still time for a peaceful solution that will address many of the issues raised by Abdullah. However, if no solution is found by then, Afghanistan faces the prospect of instability. If this is the case, future generations of Afghans will not kindly judge the politicians who created this crisis.